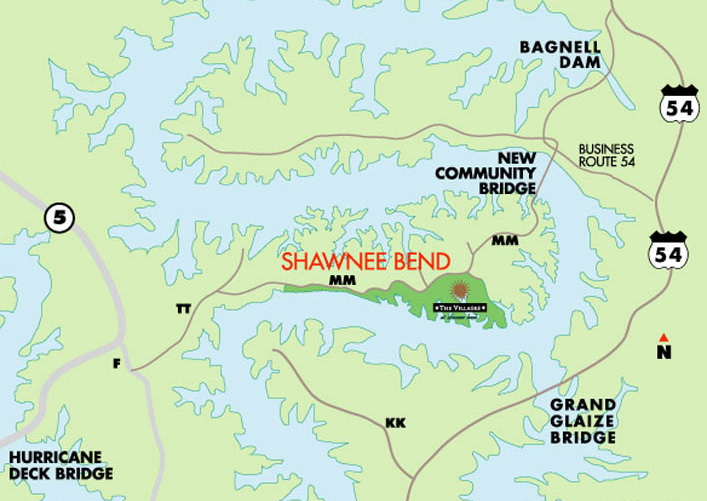 Situated on the southern shores of Shawnee Bend, you'll find The Villages at Shawnee Bend, with home sites that blend naturally into the unspoiled beauty of the landscape. Here you'll discover the privacy and seclusion you desire, and still gain easy access to all the activities of the Lake area. 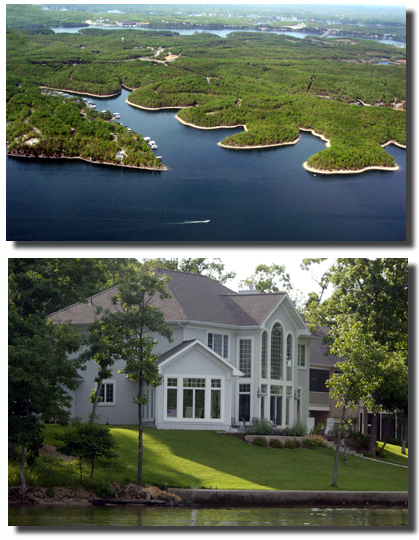 This is the perfect spot for the life you want to live... at the Lake of the Ozarks. 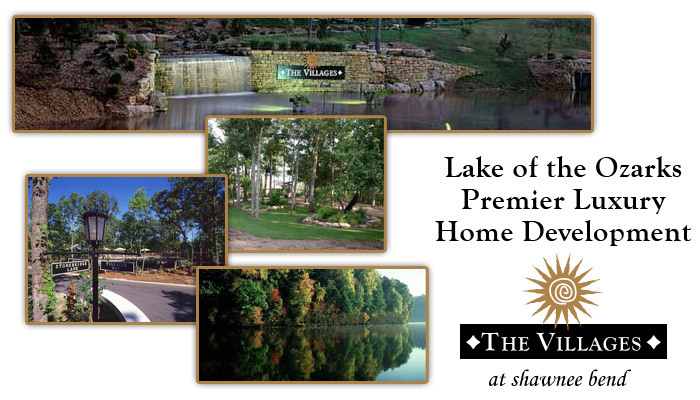 The Villages at Shawnee Bend is the Lake's most desirable address. 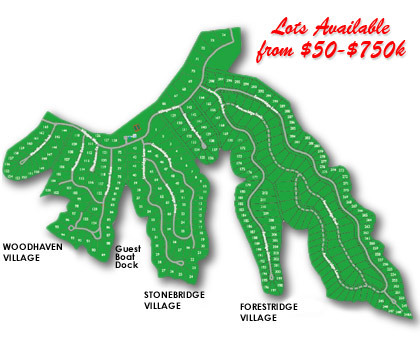 At The Villages, you'll find a distinctive variety of lots... all planned to provide you with home sites of unequalled beauty, in natural, unspoiled seclusion. 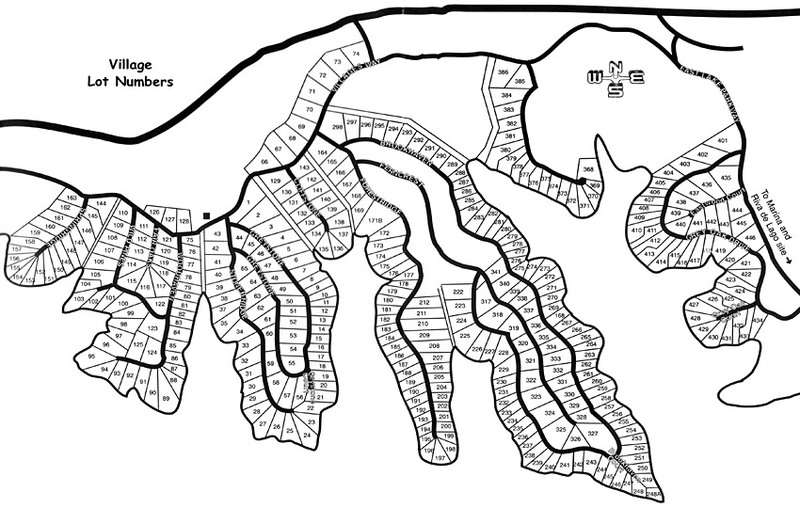 "The Villages" their community of choice! 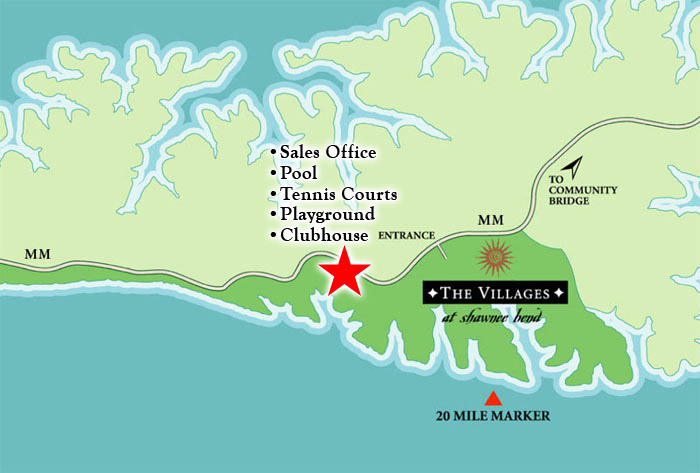 The Villages at Shawnee Bend Sales office is open from 10:00 am to 5:00 pm every day of the week. Sales Manager Craig Cervantes (Direct Line: 573-888-7858 – Email: CraigCervantesRealty@gmail.com) brings years of Lake of the Ozarks real estate experience to The Villages at Shawnee Bend. He will be pleased to introduce you to The Villages and show you our unequaled selection of home sites.